Upon my decision to sell my home, I asked a friend if they knew a local Realtor. Without hesitation, he gave me Bryan Uhrig’s name. When we met, he was prompt, polite, informative, and upbeat about selling the house. Bryan took care of all the details, informed me to as to what I should do to prepare my home for sale, found an exceptional handyman,to take care of those little “things”and details, and set up a photo shoot that made my house look like a million bucks. I was impressed. He kept me updated with E-mails and texts, and gave me a time line as to the proceeding to sell the estate. He organized the caravans and showings of the house. Bryan was always sensitive to my privacy and invasion of space. He knew about the various plants and fruit trees that are on the property. And he always had a smile on his face, and actually seemed to care about the smile on mine. I would highly recommend Bryan Uhrig to sell your property. He’s knowledgeable, he loves his job and he will work to assist you in making the transition smooth and easy, he will take you through all the paperwork that is associated with the sale, he will work with you and for you, and he WILL sell your property. We were looking for a 6 Mill +/1 Mill property in the Santa Barbara/Montecito area and chose Bryan Uhrig from Berkshire Hathaway as our agent to find some properties to chose from. With very little lead time Bryan put together a great portfolio, documentation of properties, some of them not even on the market. We flew in from Europe, were ill-prepared with vague specs and in a rush to see as many properties as possible. While we had some initial specs our true wish list evolved as we saw the properties. Bryan listened very carefully and adjusted his portfolio literally in real time. Each and every property was unique. In addition – and very important to us – he outlined the pros and cons of each neighborhood (schools, safety, value track record) beyond what many visits can teach you. While we ended up buying a property in Northern California Bryan has redefined for us the top realtor category. From preparation over execution of the tours to follow-up by phone and email he really is in his own league. Observing his interactions with his colleagues you can tell he commands the respect and air that allows him to present pocket listings which are not on the market. He really can execute and deliver. We full-heartedly recommend him to anyone looking for a distinguished and select property. We have worked with many realtors and Bryan deserves a 10 out of 10. How likely are you to recommend Bryan R. Uhrig? Bryan helped me through a long arduous home purchase. Throughout the process and afterwards Bryan was there to serve and assist with my interests. I couldn’t have done it without him and highly recommend his services! We had our eye on a particular home, and Bryan helped us get our offer in quickly as soon as the home hit the market. Bryan is extremely knowledgeable regarding every aspect of home buying. We highly recommend him! Bryan was fantastic at keeping our purchase on track. He had endless energy trying to get information and answers from a very non cooperative seller and agent. We could not be happier and would recommend him to anyone. Bryan was exemplary. He responded to each and every one of our queries whether by telephone or email. He was always available to us. If he didn’t know the answer, he would go find the person with the answer or research it and inform us. During om one weekend to find a home, Bryan had skillfully planned out a route to maximize our limited time and also insure that we looked at homes that we thought would be of interest, as well as homes that Bryan knew were similar and we should also view. We refined this list until the last moment by using the multiple listings that Bryan sent us in many emails. We couldn’t have seen as many places as we did without his attention to detail and meticulous planning. During the almost virtual closing (we were simultaneously selling in Florida) Bryan insured that everything was lined up for a smooth closing . . . ,.which is exactly what happened. From the initial inspection to final walk through, Bryan was there for us. We can’t recommend Bryan Uhrig highly enough to anyone who might be considering the purchase of a home in the Santa Barbara area. The highest accolade that we can give Bryan is that we would unhesitatingly use him again should we need a Santa Barbara. I can’t say enough about Bryan Uhrig. We recently closed on a property that my wife and I had been pursuing for quite some time before Bryan came on board. The circumstances were incredibly complicated. The seller and sellers agent were actively attempting to obstruct the process, and there were all sorts of third (fourth and fifth) parties involved. No one could have fought for us as hard as Bryan. We are so grateful to him for, literally, doing the work of 2 agents, and staying with it in order to close the deal. Bryan earned my wife and my recommendation a hundred times over. He is a high character, hard working agent! Bryan is a great guy. He is also an effective Realtor. Since our first interaction with him, he guided us well through all the steps. His contacts in the area are amazing. He has been in the industry for a while. We have been in the market for a while looking for our first home. Most of the people in the industry and associated professionals such as lenders we met during open houses and other instances knew Bryan and know him as a great guy. Bryan has put us in touch and worked with a good team of people including efficient escrow officer and title officers. He listened to our ideas and issues patiently and always provided good answers. Bryan’s experience helped us very much. For example, during the last stages of our complicated deal, the lender that we were planning to go with messed up. Bryan kept a watchful eye for us and alerted us when he saw signs that the lender would not be performing. We made a switch to another lender at an appropriate time and successfully closed. All in all, Bryan is a great Realtor to work with. Thanks, Bryan! We had a very challenging situation. A new job out of state left us only about a month to sell our house. Values were down considerably, so in addition to being under pressure to sell the house quickly, we also had to offer it as a short-sale, which is highly complicated process. Bryan represented the buyer and seller both and handled the entire transaction including retaining an excellent short-sale negotiator and working with the bank to win agreement on final terms. He then supervised the closing process and even arranged for us to execute the documents from our new home several states away. Under Bryan’s direction, the entire process from signing the listing to signing the closing took less than 60 days. Truly remarkable dedication and professionalism. Mr. Uhrig was our agent when we purchased a house this past April. This was a short sale. 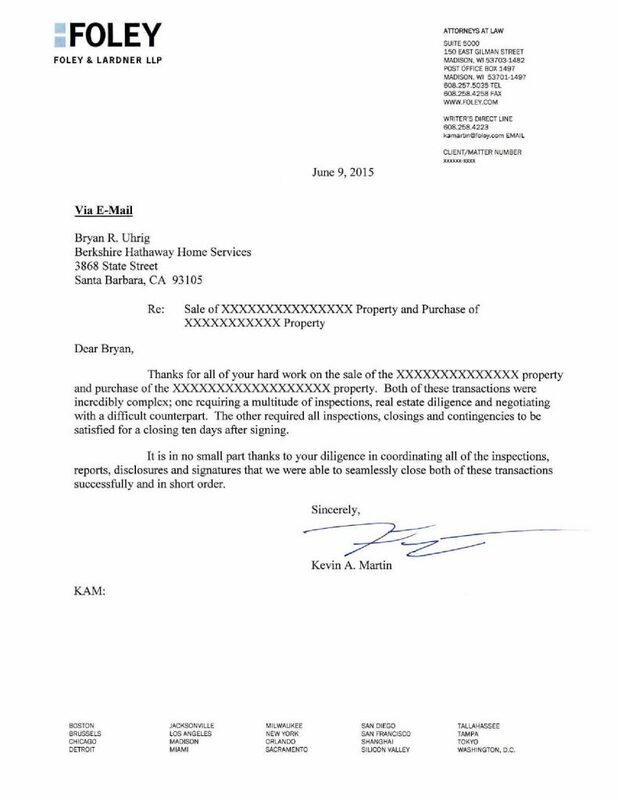 I believe Mr. Uhrig was instrumental in dealing with the bank as it seemed the sellers agent didn’t have a clue. He went the extra mile by helping the owner move out so we could get possession of the house. He is an expert in the San Roque and Mesa areas with a very good knowledge of Goleta to Carpenteria. I wouldn’t hesitate to seek his assistance in any future real estate transactions and whole heartedly recommend him. Bryan was thoughtful and knowledge. He held our hand through the process and always made sure that our interests were best served. His knowledge of the area led to us getting top dollar from our sale. He followed, daily, to help make sure that the necessary papers were signed and submitted, helped to make sure that the inspection “fixes” were taken care of and was always there when we needed him. A year ago we made the decision to mo from the UK to beautiful Santa Barbara The question was: Where do we even START on such an important journey? We contacted a number of Santa Barbara Realtors by phone and Bryan Uhrig of Caldwell Banker immediately stood out from the crowd. His vibrant and warm personality shone through and we immediately tea at easewith him. A few months later, we visited Santa Barbara and Bryan set aside 2 fun days to take us around the different areas and view various properties. He helped us gain a much greater understanding of the local real estate market and identify a number of interesting opportunities. Bryan continued to provide expert guidance and help whenever we needed it. This saved us an enormous amount of time Within 2 months of landing in California we are now enjoying life m our new home! Barbara market, and were on a tight timeline. I wasn’t sure if anyone could help us ﬁnd a great place in our budget, in Santa Barbara, and in just a few months. But somehow Bryan did just that. Bryan was extremely patient and took us to look at many places. He was great at educating us as first time home buyers as well. Ultimately, we fell in love with a short sale that was listed about $3 0|: over our budget. But Bryan was wise enough to see that it was over priced and we could probably get it in our budget. And he was right! He also guided us through the purchasing a short sale process, which can be a little scary! But he deﬁnitely guided us through it and it all went so smoothly. Our first home is truly a dream home. We can‘! believe that it only took us three months from searching to closing escrow despite all the challenges we faced, and the fact that we ended up with a short sale. And we also always say to each other how glad we are that Bryan showed us this condo, since we thought because of the list price it wouldn’t be in our budget. I’m not sure if other realtors would have showed it to us either. But thankfully Bryan knew that it could work, and literally found us our dream home! We highly recommend Bryan to anyone who lives in Santa Barbara and needs a realtor. And we will deﬁnitely use him again when we go to sell this place and buy something bigger! I am writing to extend my deepest appreciation to Bryan Uhrig and his team for their assistance in securing my Santa Barbara Dream Home. Now, to anyone else. my new home at 136 West Haley Street might not look like much, but after living in a 200 sq.ft.connex in Afghanistan for three years, it’s a palace. I had discovered the Haley Street property on Bryan’s website while stationed in Afghanistan. Ihad contacted a number of Santa Barbara realtors that I had previously worked with. None would handle the transaction everyone I contacted said it was too much trouble, because I was in Afghanistan, and would not be available until the actual sighing of closing documents, audit was a property to be auctioned by the city. All I knew was that I had to have it. I had had no previous contain with Bryan, but because I had found the property on his website I figure I’d contact him. You could not imagine my surprise at his energy and optimism when I explained to him the situation and my goals for the property. Bryan said he knew the process for an auction property was unique, but not impossible. He said he would do his research and get back to me. Within a few days Bryan had conﬁrmed what was required and he made the commitment to represent me in this adventure. Mind you, this entire transaction was handled by Bryan while [was stationed in Afghanistan We communicated entirely by email, except for the day of the actual auction. On the day of the auction, by phone, Bryan was quite candid as to what was necessary to have the winning bid. I had my doubts, but i trusted him implicitly. He was right! We outbid everyone else at the auction by only a few thousand dollars. His instincts were on point! Honestly do not believe I would have beat successful if it had not been for Bryan bringing everything to bear. Because of his insights, experience, knowledge, and professional relationship in die community I have my Santa Barbara Dream Home. Bryan also lined me up with a great group at Broadview Mortgage. They got me a great loan with great terms. 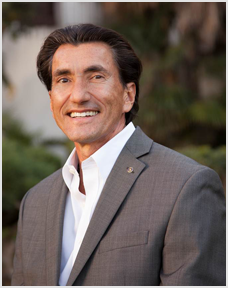 I could not have found a more diligent and responsive realtor and have nothing but praise and gratitude for Bryan and his team and would recommend them to anyone looking to purchase Santa Barbara real estate. Bryan has my highest recommendation and my deepest appreciation! 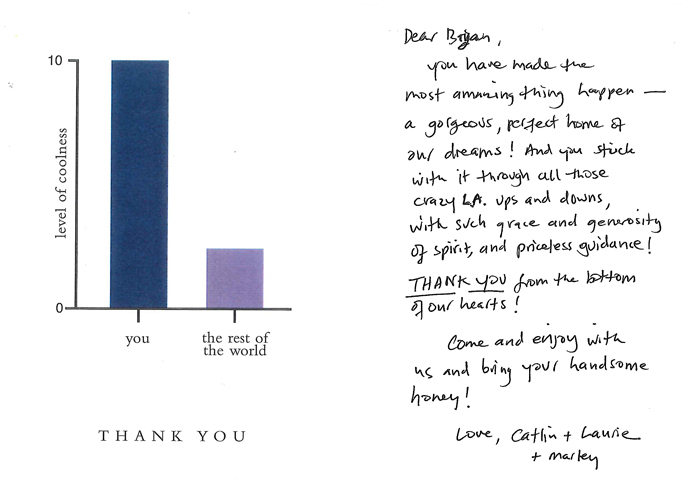 I would like to give my deepest gratitude for your help in the purchase of this amazing home here in Santa Barbara. Your patience and professionalism was greatly appreciated. I came here in April and told you I was not going to leave until I found the property calling me. Nine days later. We found ourselves celebrating an acceptable offer. You were patient with my demands and even more patient when my eagerness was trying to push. The transaction faster than possible! I was most impressed by the fact that you were able match a property to my personality and threw out six homes immediately upon our first meeting…. Very impressive. You were honest, dependable, informative and personable. I would highly recommend you to friends‘and if needed, to represent this property if I should one day chooses to sell. The Choice Is Clear!.. Bryan Uhrig for Realtor of the Year! So sorry it has taken so long to respond. Re have been here, there and everywhere. Conscientious and professional on all fronts and always respected our wishes and privacy. He is very hard working and always went the extra mile for us. If ever in the market for another hone in the Santa Barbara area, Bryan would definitely be our first choice! We recommend without any reservation Mr Bryan Uhrig. He is a “can do”sort of guy. He is not restricted to his job description, always going the extra mile, doing whatever it takes to get the job done and very generous with his own time and finances. He also brings to the table years of experience in business, dealing with peers, associates and clients on e professional level. He handles difficult people respectfully and with honor. He is clam and level headed in e crisis and bold when needed but never pushy. He is assertive but not aggressive. He is both charming, clever and innovative. He has a Creative eye and offer extremely valuable advice from a creative perspective. He was the project manager, sort or a general contractor, for en extensive remodel on our home. The people he recommended were also reliable and good craftsmen. He was like e “nether hen‘ overseeing every detail. Bryan went above and beyond whatever we could have imagined or expected. He wee loyal, honest, dependable, and diligent. He is an excellent communicator. He kept us well informed at all times. And even though we live 500 miles away. He brought us into every decision, Giving us sound advice, pointing out ell our options. We felt we were right there. It’s suprising that for such a creative man he is also incredibly organized. He diocument everything end will present to you A beautiful three ring binder of all the details of every transaction involved with the buying or selling of your hone. We feel eo amazingly honored to have had someone like Bryan ‘on our side”. We will miss his timely updates, his enthusiastic and cheery nature, and to top it off his sense of humor. He’s just a very likable guy who genuinely cares for his clients. I know he sound too qood to be true but he is the ‘real article’. A man of true integrity. We recently employed the services of Bryan Uhrig as a realtor to search for a home for us in the greater Santa Barbara area. We had previously spoken to several agents and ultimately decided not to use an agent in the search for home because it was our experience that agents were, as one might surmise, only interested in the quick closure of a deal that would provide a sales commission. Mr. Uhrig was quite different.He took his time speaking to us about what we wanted in a home. He went with us to many homes that were for sal e and listened to what we liked and did not like about them. When we showed interest in homes that he thought were poor investments, he provided his counsel and let us make the decision to move on for something that would be more in-line with our needs and interests. Any number of times, he could have closed a deal that we were excited about and which would have been less than adequate for us over time. If he thought something was overpriced, if he thought that a property was in an area that lacked security, if he thought that a home was poorly built, he freely mad us aware of a home’s short comings. If we wished to pursue investigation, he would accommodate our interests. He used all of the contemporary systems for communication: frequent texting, emails daily, data surveys for houses matching our requirements, etc. We felt we know as much about the range of homes available with our criteria … as anyone in the real estate business. He saw to it that each night we received all of the prevous days new listings by emails. It was in these that we found a possible candidate. Once he knew we liked the home he researched comparable properties for a price comparison. He helped us locate all publicly available data about the house. Several times he walk the property . six unimproved acres to make sure that we understood its nature. He organized several house visits and inspection. Throughout the offer / counteroffer stage he tended to every details. Long after it appeared that the process was “inked”, he kept looking after details. This letter comes with my highest regard for Bryan R Uhrig and his work as Realtor for Coldwell Banker Residential Brokerage. He recently completed the sale for the house of my mother, Joanna C. Jauchen at 831 Palermo Dr., Santa Barbara California. Bryan is a man of impeccable character. From our initial meeting w the point of sale, he conducted himself with integrity and professionalism. He concerned himself with even the smallest of details. His use of the latest technology kept us fully informed of area real estate trends and updates of specifics for our situation. He showed expertise in his knowledge of the current market and demonstrated a special art for the pricing of our home, giving us a fair and speedy return. Most significant on a personal note, Bryan showed special care for family needs as he considered the circumstances of my mother’s recent death. We were fully satisfied with the considerate and skillful manner in which Bryan supervised the work at hand. He comes with the most genuine recommendation that I am able to give. 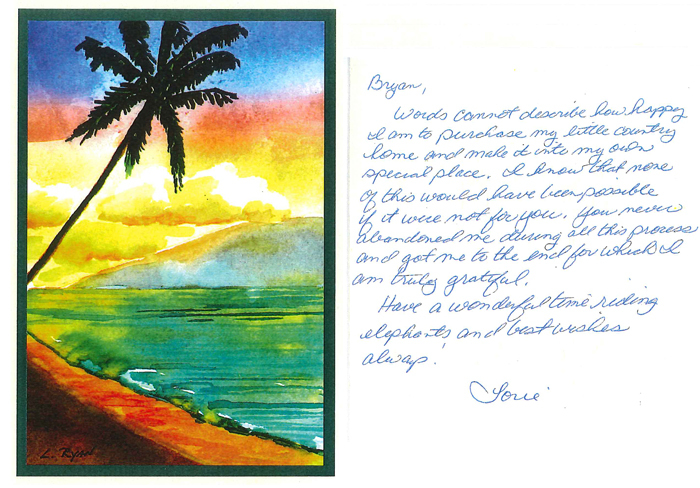 We are writing this letter to recommend Bryan Uhrig’s services as a real estate agent, Bryan helped us find and purchase a home in Santa Samara after a 6 month period of searching. We found Bryan to be very knowledgeable, collaborative, and most of all responsive to our needs. I sincerely believe that anyone who utilizes the service of bryan will be more than satisfied and will feel as though they have a trusted business partner. Bryan Uhrig is a local agent with great attention to detail and professionalism. Having grown up in the area, he knows the market well, and has a lot of contacts to people in the industry. He is very hard working, and we always felt that he was looking out for our best interest. We worked with him when we sold our house, and would definitely recommend him to anyone! For Many MORE TESTIMONIALS – Contact Bryan!